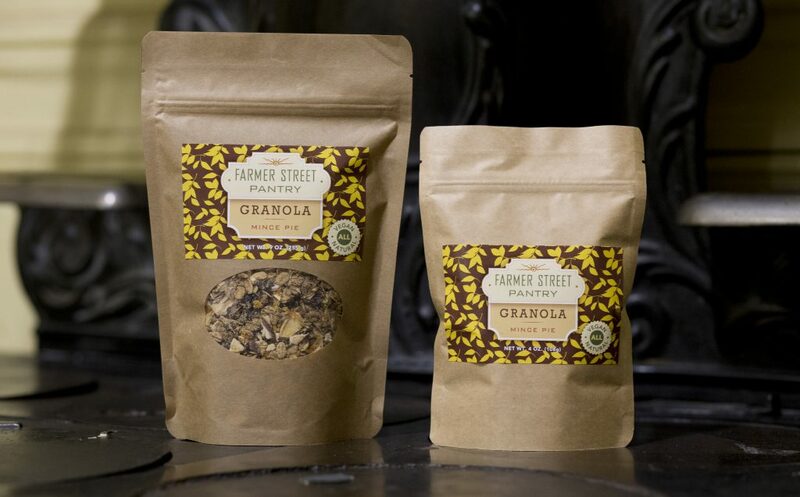 Granola’s history is rooted in the Finger Lakes, stemming from the health reforms of the 19th century. Why did we make it “Mince Pie?” Mincemeat was made in Syracuse for one hundred years, so our Mince Pie Granola pays homage to two great food stories from New York State: mincemeat and granola. 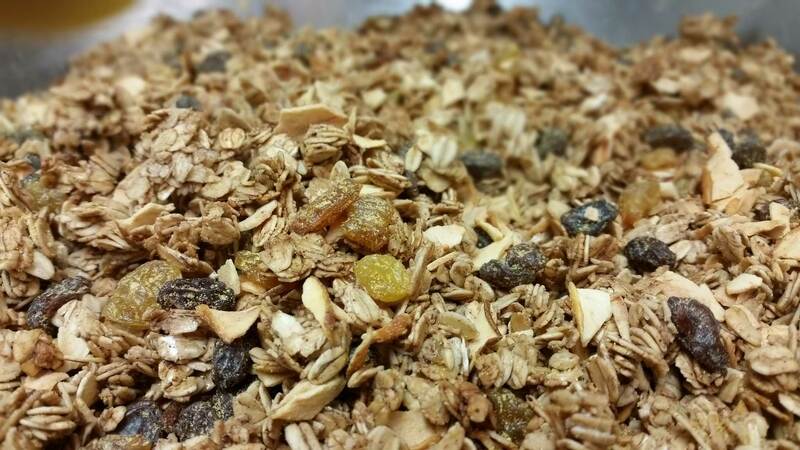 Lower in fat and sugar, our granola is nicely spiced with the same tastes you’ll find in our All Fruit Mincemeat. MINCE PIE GRANOLA WILL BE ONLY SEASONALLY AVAILABLE FROM NOVEMBER 1 TO DECEMBER 31. Ingredients: Rolled oats, raisins, maple syrup, dried apples, brown sugar, coconut oil, apple cider vinegar, spices and salt. This recipe comes together very quickly for breakfast, brunch or dessert. 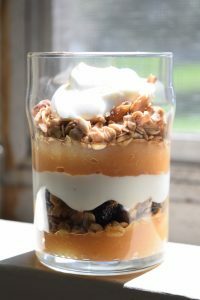 If you cover and refrigerate for several hours or overnight, the parfait becomes pudding-like.